Ms. Seagren joined RPC in 2013. Her primary responsibilities at RPC include performing valuation and cash flow analysis, gathering market data, preparing offering memorandums, and interfacing with clients and capital providers to manage due diligence and close transactions. Ms. Seagren also leads the analytical team at RPC. Prior to joining RPC, Ms. Seagren completed internships both real estate and architecture. During these internships, her responsibilities included financial analysis, market research and feasibility analysis, as well as litigation and bankruptcy support. 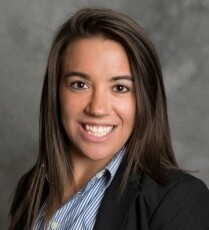 Ms. Seagren graduated from the University of Denver in June of 2013 with a Masters of Science in Real Estate and is also a 2011 graduate of Penn State University with a Bachelors degree in Architecture. In her spare time, Tye enjoys exercising, reading, and traveling.